This plugin is no longer for sale. Please use our new Rich Snippet Plugin for WordPress that also can automatically add snippets to your theme without the need of creating a child theme. Good search results are no longer just something for geeks! Let’s face it: the Divi Theme from ElegantThemes is one of the most powerful and easy-to-use themes nowadays. search engines to crawl your website. (for ex. Breadcrumbs) to attract more attention on your search results! Plus: you don’t need any coding skills! Some of my websites are also using this powerful child theme which is powered by Divi – Elegantthemes most popular theme. For example this German site that offers a WordPress course for newbies. How Do Search Engines See This? Search engines can now differentiate between different parts of your website! buddies over at ElegantThemes. 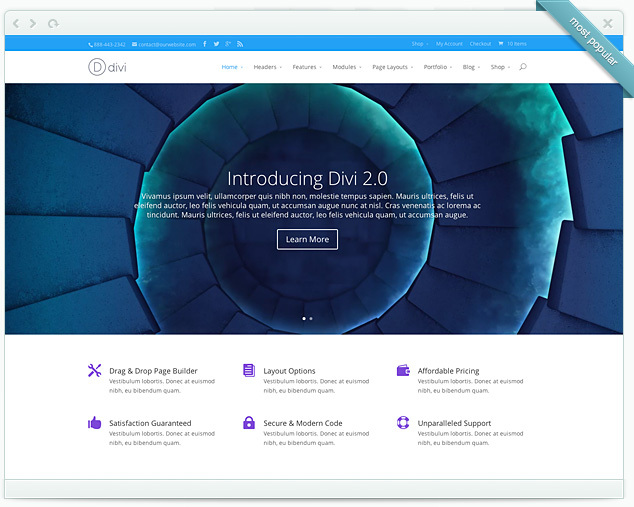 So what you need is Divi 3.0.